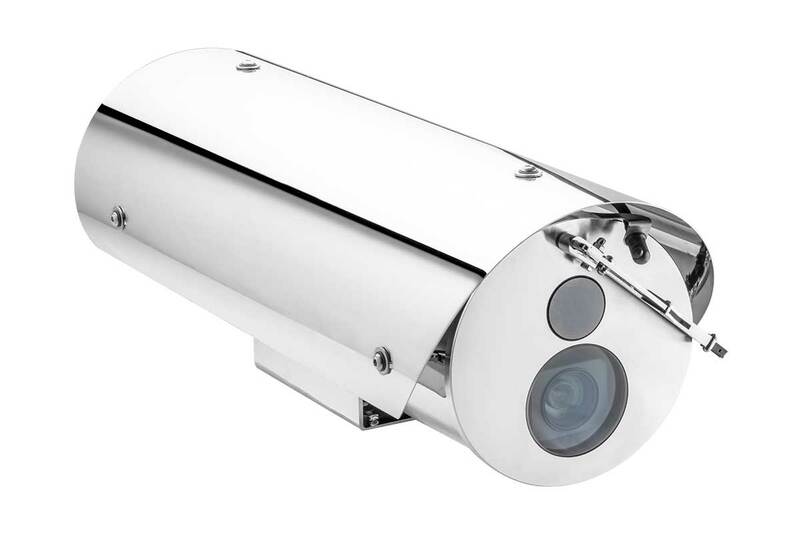 The SAF168D Stainless Steel dual Camera Station has been developed to fit simultaneously a thermal imaging camera and a latest generation 2048x1536 @30FPS Full HD IP Day/Night camera. This camera station is manufactured in electropolished AISI316L Stainless Steel and it has been designed to fit in industrial, marine and highly corrosive environments. Many efforts have been made to ensure the best protection from external agents and to allow an easy installation and maintenance. Highest quality materials and production process, together with a modern design and a competitive price, make these fixe camera station the best solution when it is needed to monitor a target using both a Day/Night camera and a thermal imaging camera.